We have a small cottage booked (2 bedrooms), plus Laurie’s house (4 bedrooms) which is literally a stone’s throw away. Location: 757 Spencer’s Beach Road, Spencer’s Island, NS (we upgraded and moved from “the farm” to the “beach house”)! Arrive at the beach house anytime after 6pm, hang out, eat some snacks and have a few drinks. Think “kitchen party, B&B type atmosphere” and accommodations. 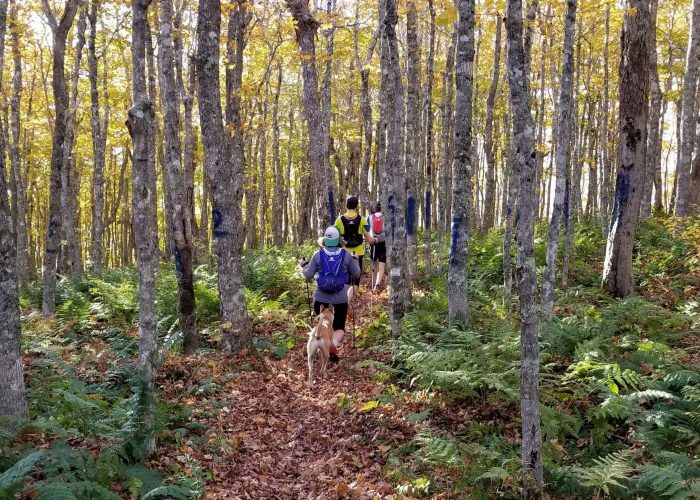 10:00 – 2:00 – Trail Run (10-20k) with On-Trail tips/tricks/techniques (pack your own lunch). Easy pace. Everyone stays together. 5:00 – 5:30 – Head to the Wild Caraway for supper! If you haven’t been here before, it has been ranked in the top 3 restaurants in Canada in recent years (entree, dessert, and 1 beverage included)! 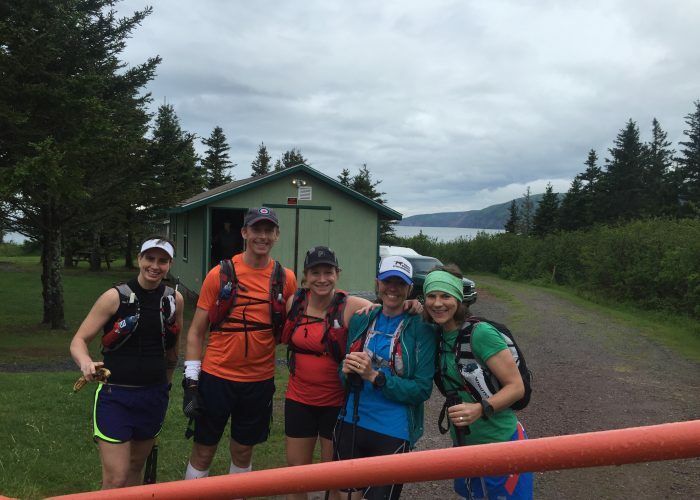 After supper, head back to the beach for a Barkley Marathons slideshow and adult beverages! 9:00 – Noon – Trail Run (10-15k). Easy pace. Everyone stays together. Everyone gets their own bed (unless a couple wants to share). The cost is $325/ person (no tax). A deposit of $125/ person is asked for to hold their spot (non-refundable within 3 weeks of the camp date). For who? Any runner that’s curious about the Capes 100 course! What’s happening at this camp? Wanna get a sneak peak at the course? We’re going to cover the whole Capes 100 course over 3 days! Because some sections are ‘out-and-back’, we won’t cover these sections twice during the camp. NOTE: the Capes 100 course is comprised of 75% Private Land. If you want to see the course before race day, this is how.